What is 14th and Oak? A tour of our new travel trailer! Well… we traded in our 2005 Winnebago Aspect after just 13 months. With engine troubles constantly plaguing us and not enough space for me, the hubby, and our huge dog, we decided we’d had enough. Last week we took possession of our brand new 2018 Forest River Salem 25RKS travel trailer with a rear kitchen. It’s 29 feet long from tongue to bumper, but the camper box itself is 25 feet long. I’m in love! Delivery! Getting her into place at our campsite. I wake up in the woods. 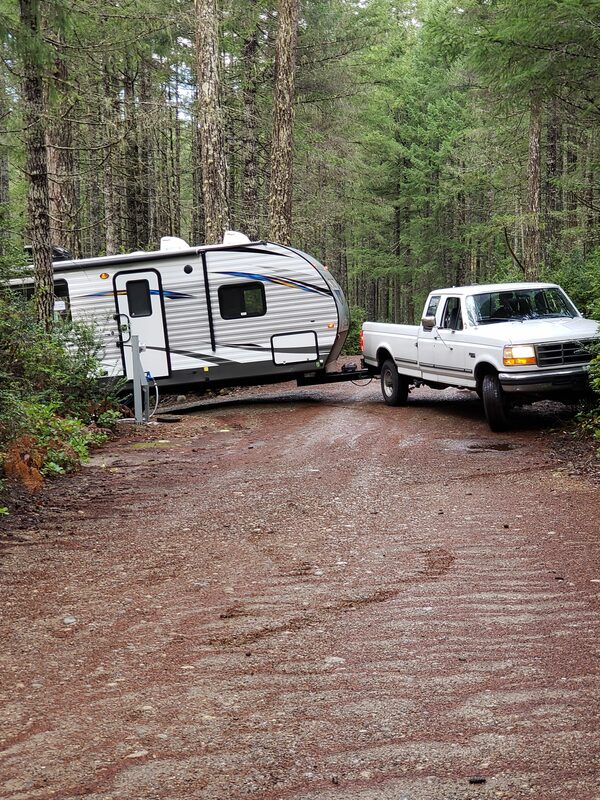 Well – for complete disclosure – I wake up in a motorhome parked in the woods. But still… I wake to the sound of chirping birds and absolutely nothing else. Welcome to Camp Echo Hill! Is it camping season yet??? All I can think about is camping. 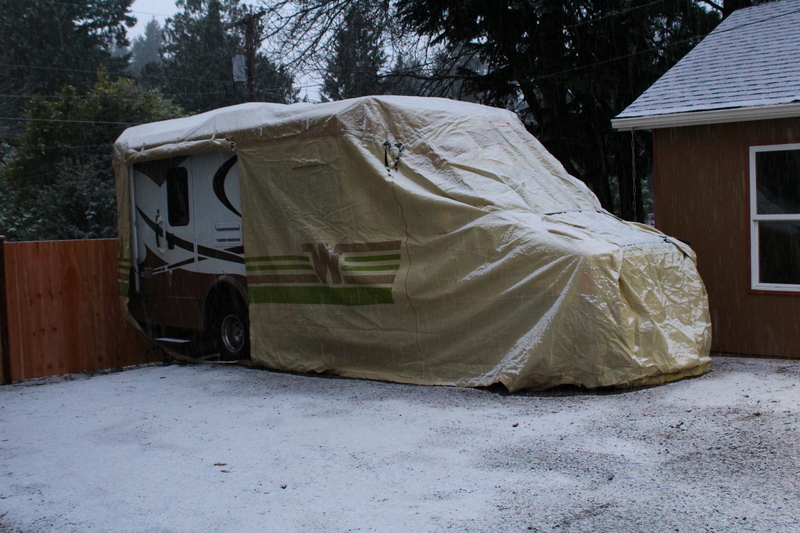 Gracie Rides Again is winterized and buttoned up for the season (minus the access panel we usually have rolled up so that we can still get inside) and she can’t really go anywhere right now, but I have camping on the brain. These days, I spent most of my free time inside our motorhome. Sometimes I’m organizing or cleaning, but a lot of times, I’m just sitting on the sofa inside with my head thrown back and my eyes closed as I listen to the patter of the rain on the roof. (It’s pretty spectacular).